Dubai’s Pyramids at Wafi restaurant and leisure venue features a beautiful rooftop garden that can be hired for special events. It also hosts regular rooftop movie screenings. If you’re on your luxury honeymoon, or you’re looking for a relaxing way to spend the evening, the ‘Movies under the Stars’ events are completely free of charge. Purchase your snacks, and enjoy a great movie. There are classics, new releases and blockbuster hits – a different film every week. At the extravagant Meydan Grandstand and Racecourse, see horse racing at its best. This prestigious racing venue hosts the Dubai World Cup and other popular events. Of course, horses aren’t the only animals to race in Dubai. Camel racing is one of the oldest Middle Eastern sports, and camel racing season is typically from October until March. Many luxury hotels in Dubai have their own fitness suite facilities, though you might also want to consider a visit to the TribeFit gym, Dubai Marina. The gym hosts free dance classes for non-members, as well as beginner’s scuba diving lessons, yoga classes and movie nights. Your Dubai holiday could be a chance to learn a new skill. Dubai’s Global Village theme park lets you take in the world whilst on your holiday. Visit 38 pavilions housing shops, restaurants, shows and snack outlets from across the globe. The Global Village is conveniently located on Sheikh Mohammed Bin Zayed Road close to other popular attractions. If you enjoy indulgent spa treatments then you’re likely to want to stay in a luxury hotel resort that includes an on-site spa. Alternatively, visit one of the many spas offering unusual treatments throughout the city of Dubai. Treatments include extravagant 24 karat gold facials, sumptuous lava shell massages and soothing chocolate body treatments. A Dubai luxury holiday is an opportunity to try new things, to indulge and to see some of the most impressive landmarks in the world. 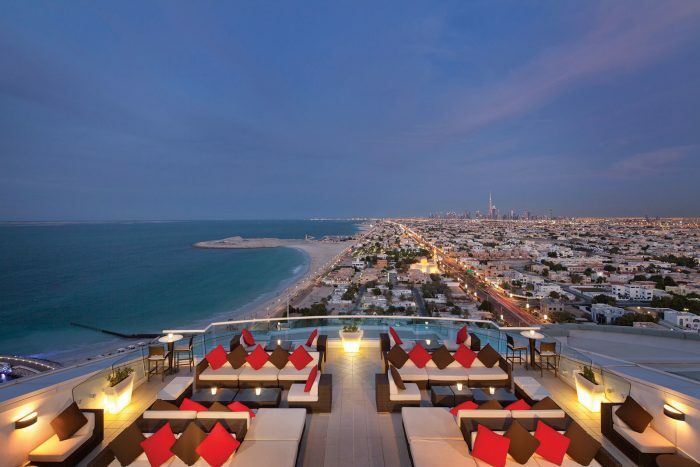 Want to find out more, or if you’d like to get a quote Dubai holiday, contact one of our travel experts on 020 3397 7585.